All images by Mika Suutari. Used under Creative Commons License. While most landscape photographers would swear by the magic of shooting during the golden and blue hours, there are amazing landscape photographs taken outside of such narrow windows of opportunity. 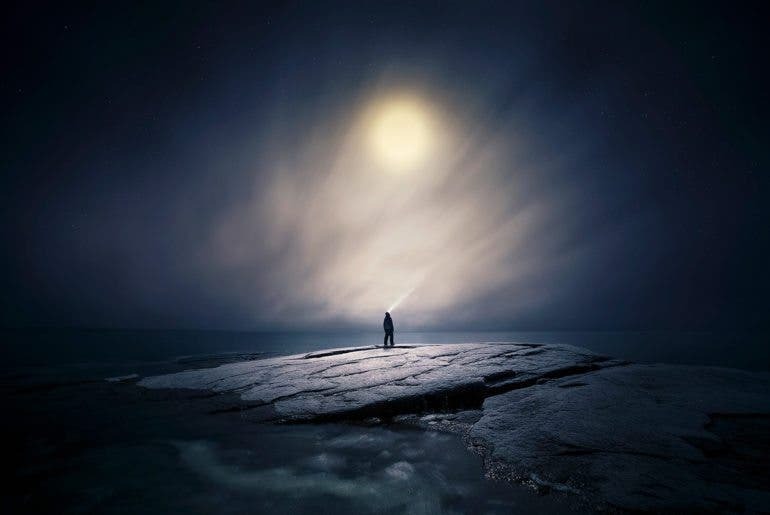 Mika Suutari braves the cold of the night shooting breathtaking scenery of Finland lit only by the moonlight, creating uniquely surreal and almost painterly like images. 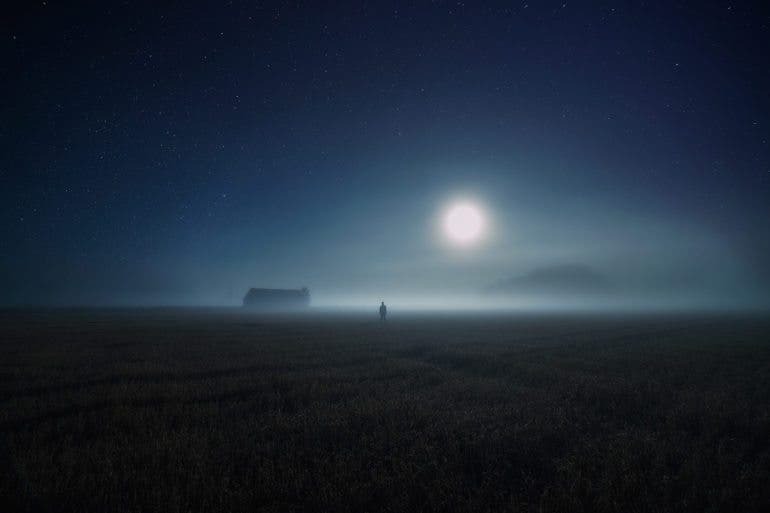 The photo project by Mika Suutari, titled “Lunar Effect”, showcases a series of Finland landscapes taken only in moonlight. 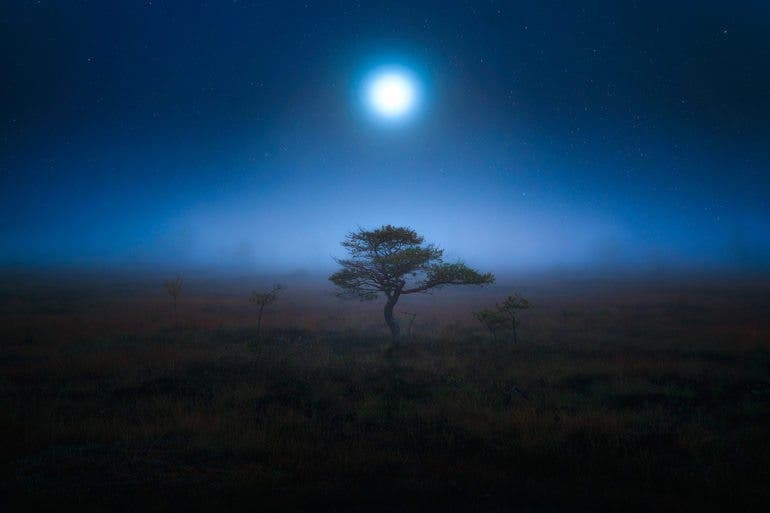 Mika chose the particular day of full moon for maximum illumination impact on the scenery he was shooting. The timing was also specifically decided at about 30-40 degrees full moon rising from the horizon. Long exposure photography was used with the camera mounted on the tripod to execute a shutter speed setting slow enough to capture a well exposed night scene. Due to the extremely slow shutter speed used in some shots with moving water and clouds, the motion captured created a blurring effect, which added dynamic energy and drama to the shots which would otherwise appear plainly static. When there were no clouds, the moon was clearly seen in a sky full of stars, creating a different impact altogether. 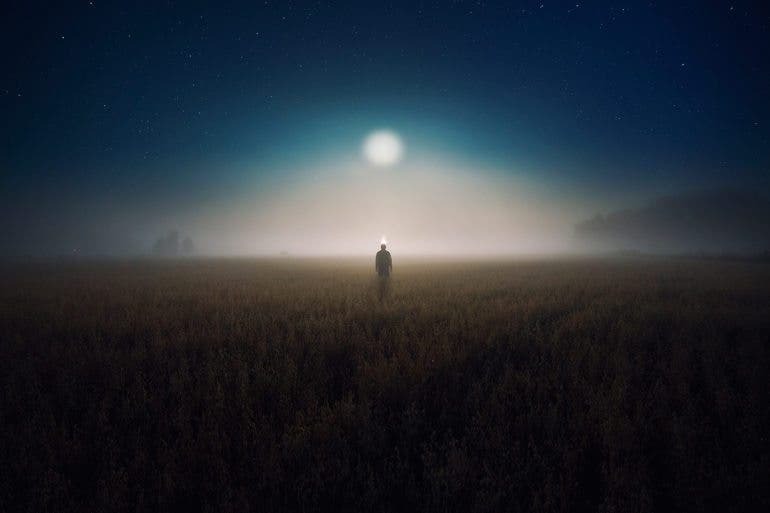 Moreover, in his night landscape shots, Mika strategically added a human figure, portrayed only in silhouette, due to the back-lighting against the full moon in the background. This human silhouette was shot from a far distance, having a comparatively diminutive size against the massively wide dramatic scenery, which was the main emphasis in his composition. While the outcome of the images look surreal and almost dreamlike, there is still a strong sense of realism as well. It is evident that a lot of effort in planning and scouting for locations with massive patience were dedicated to accomplish this photo series. After all, great photography often requires a sacrifice of time and perseverance. 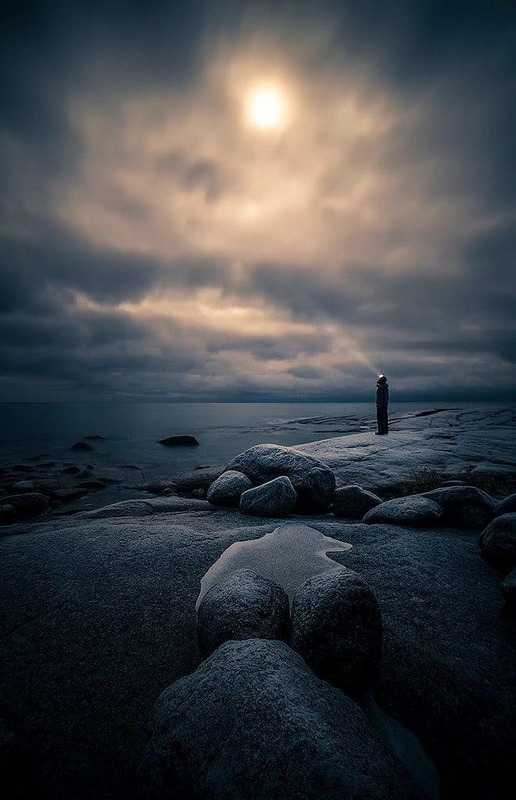 You may check out Mika Suutari’s photography work at his website here.